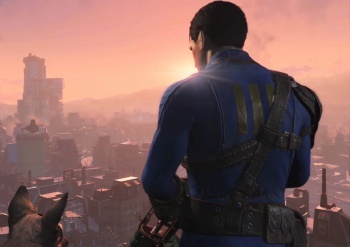 You won't need a PC from the future to run Fallout 4. Bethesda has just released the official minimum PC system requirements for Fallout 4, and I have to say, they are much more forgiving than I would have expected. The "recommended" specs are a bit beefier, but if you just want to play the game you should be able to on a fairly mid-range box. Additionally, Bethesda also revealed a bit of information about the game's PC launch. Digitally the game will become available on November 10, 2015, at 12:01 am (local time) in all territories (In North America, the unlock time will be 12:01 am EST), except Asia (available at 12 am on Wednesday, November 11th) and Japan (available at 12 am on Thursday, December 17th). You'll also be able to plug in an Xbox 360 or Xbox One controller to your PC and play the game with it right from the get-go.